Google is pulling the plug on Gizmo5 on April 3rd despite its previous intentions to integrate Gizmo5's VoIP service / software with Google Voice's web-based phone forwarding service. At one point, all signs were pointing to Google releasing a desktop client for Google Voice via Gizmo5, but now, not only are the Gizmo5 users stranded, but its not clear what the plans are with releasing a desktop application for its Google Voice users. This seems like a pretty major disappointment to Gizmo5 users and anyone whos been waiting for the ability to receive free incoming calls on their desktop. A number of outlets have reported that many features of Gizmo5 may be lost as Google shuts it down (since they have not yet been transferred to the Google Voice offerings.) The good news is that Voxox offers a lot of the Gizmo5 functionality as well as many other features that Gizmo didn't offer. The Voxox desktop application can integrate seamlessly with Google Voice, as reported by Gizmodo a few months ago, and hence can offer ex-Gizmo5 users (and anyone interested in using Google Voice) a great alternative desktop VoIP/IM client. 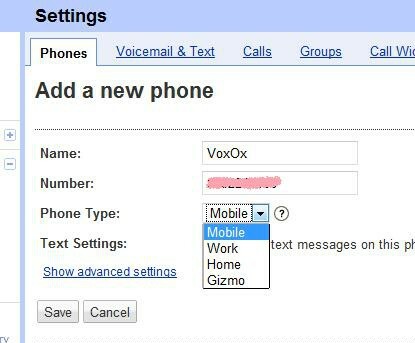 Here are instructions on how Gizmo5 users who migrate to Voxox can set up the service and get free Google Voice calls on their desktop. 1. Sign up for Voxox and then download the desktop client. During the sign-up process, you'll be asked to SMS-verify from your mobile phone to activate your free phone number. Make sure you complete this step to get your free number. *You can enable any of these after you go through the set up steps below. Thats it for receiving calls on your desktop! Your Voxox desktop application will now ring anytime someone calls your Google Voice phone number. (And its all free of charge.) Don't forget to enable your call screening options back, if you like! 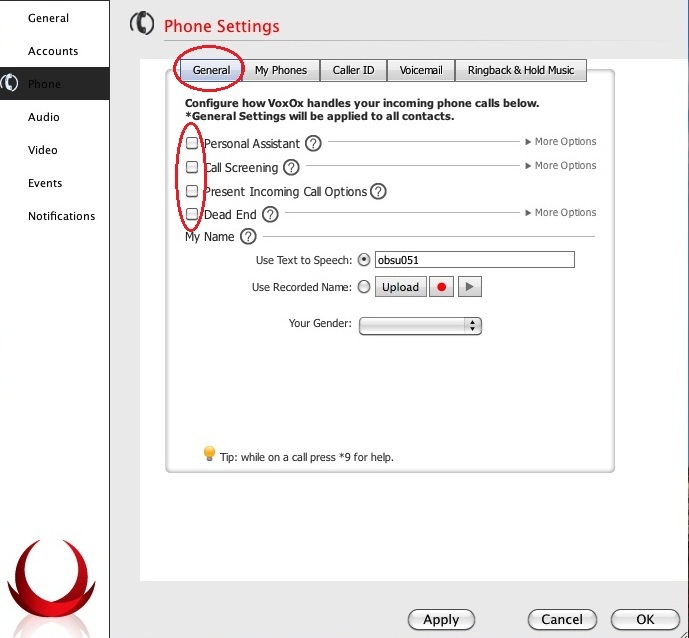 You can also set your Google Voice number, or any number of your choice, as your outbound caller ID by clicking your phone number on the Voxox interface (as circled in red on the black backdrop) and the Phone Settings window will automatically pop-up. 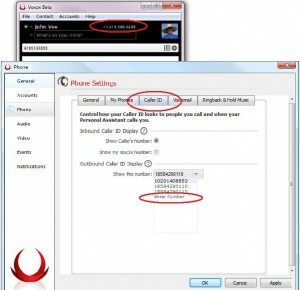 From there, choose Caller ID from the tool bar and enter the number you would like displayed as your outbound caller ID by choosing "Enter Number" in the "Show this number:" drop-down menu. So, whether you're a stranded Gizmo5 user or a Google Voice user who wants a desktop client that integrates with Google Voice, we welcome you with open arms to enjoy our free service. And give our other features a try too, like multi-protocol chat, social networking integration, fax, file sharing (up to 100 mb! ), our real-time translation tool Universal Translator, and much more.